Part 1 of “Why are Fat?” discussed the why industrial cooking oils made from corn, soybean and Canola as well as animal foods that have been fed corn and soy are primary contributors to America’s epidemics of obesity, heart disease, diabetes and cancer. Part 2 examined the second major contributor to our growing waistlines and failing health: the extreme quantity of soda, bread, pasta, potatoes, cereal, and sweets Americans consume every day. It’s easy enough to point the finger at our national addiction to sugar and carbohydrates, not to mention our increasingly sedentary lifestyles, when trying to find a cause for our epidemic of “lifestyle diseases” like obesity. Potent as they are, however, these causes cannot explain the ballooning of one particular segment of the population—a segment that can’t chew, and was never that much into exercise: Babies. In 2006, scientists at the Harvard School of Public Health reported that the prevalence of obesity in infants under 6 months of age had risen 73 percent since 1980. “This epidemic of obese 6-month-olds,” as endocrinologist Robert Lustig of the University of California, San Francisco, calls it, poses a problem for conventional explanations of the fattening of America. According to Dr. Bruce Blumberg, professor of developmental and cell biology and pharmaceutical sciences at the University of California in Irvine, there’s growing evidence that suggests that some of the chemicals used in everyday items predispose an individual to becoming overweight, despite normal diet and exercise. 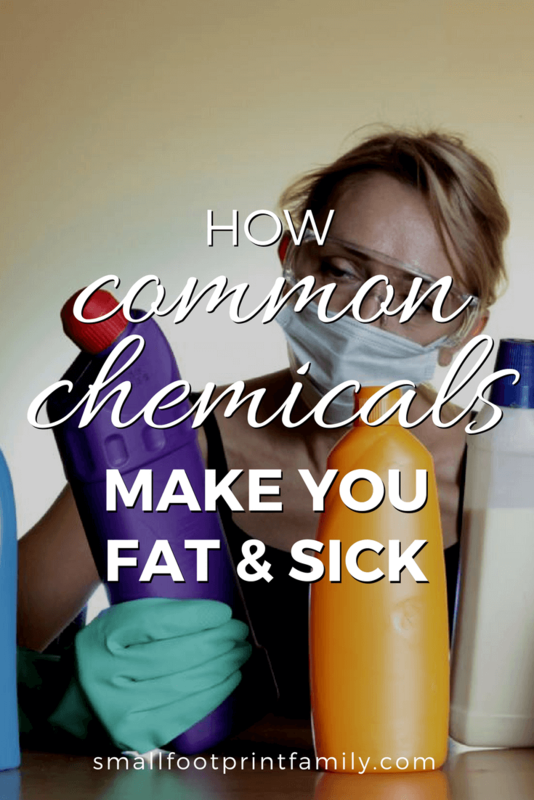 In other words, chemicals make you fat. Scientists describe these chemicals as “obesogens” because of way they effect how we develop and store fat. Researchers are discovering that our bodies mistake certain man-made chemicals used in plastics, food wrappers, shower curtains and shampoo, for example, for naturally occurring hormones that regulate the production and storage of fat cells. The scientific results from multiple laboratories are preliminary, yet, the data all say the same thing: Chemicals that affect our hormone system—often called endocrine-disrupting chemicals—are playing some role in the global epidemic of excessive weight. These industrial chemicals act on genes in the developing fetus and newborn to turn cells that would normally become connective tissue into fat cells, which stay with you for life. And they may alter metabolic rate, so that the body hoards calories rather than burning them. In 2006, Blumberg fed pregnant mice tributyltin, a disinfectant and fungicide used in disposable diapers, marine paints, plastics production, and other products, which enters the food chain in seafood and drinking water. “The offspring were born with more fat already stored, more fat cells, and became 5 to 20 percent fatter by adulthood,” Blumberg says. Genetic tests revealed how that had happened. The tributyltin activated a receptor called PPAR gamma, which acts like a switch for cells’ fate: in one position it allows cells to remain fibroblasts for connective tissue, in another it guides them to become fat cells. (It is because the diabetes drugs Actos and Avandia activate PPAR gamma that one of their major side effects is obesity.) The effect was so strong and so reliable that Blumberg thought compounds that reprogram cells’ fate like this deserved a name of their own: obesogens. As later tests would show, tributyltin is not the only obesogen that acts on the PPAR pathway, leading to more fat cells. So do some phthalates (used to make vinyl plastics, such as those used in shower curtains and, until the 1990s, plastic food wrap), bisphenol A, and perfluoroalkyl compounds (used in stain repellents and nonstick cooking surfaces). Programming a fetus to make more fat cells—or adipocytes—leaves an enduring physiological legacy. The more adipocytes, the fatter you are. But adipocytes are more than passive storage sites. They also fine-tune appetite, producing hormones that act on the brain to make us feel hungry or satisfied. With more adipocytes, an animal is doubly cursed: it is hungrier more often, and the extra food it eats has more places to go—and remain. Within a year of Blumberg’s groundbreaking work, it became clear that altering cells’ fate isn’t the only way obesogens can act, and that plastics and pesticides aren’t the only potential obesogens. In 2005 experiments began feeding newborn rats genistein, an estrogen-like compound found in soy, at doses like those in soy milk and soy formula. By the age of 3 or 4 months, the rats had higher stores of fat and a noticeable increase in body weight. And once again, mice fed genistein did not eat significantly more—not enough more, anyway, to account for their extra fat, suggesting that the soy compound threw a wrench in the workings of the body’s metabolic rate. Says Blumberg, “One of the messages of the obesogens research is that prenatal exposure can reprogram metabolism so that you are predisposed to become fat,” says Blumberg. Environmental chemicals may well account for a good part of the current obesity epidemic. At the individual level, exposure to the compounds during a critical period of development may explain one of the most frustrating aspects of weight gain: you eat no more than your slim friends, and exercise no less, yet are still unable to shed pounds. Hormone-mimicking chemicals already have a bad rap for their role as endocrine disruptors in the body (including the notorious bisphenol A (BPA) that has led to the shunning of plastic water bottles nationwide). We’re surrounded by these chemicals: BPA and pthalates are everywhere, from water bottles to dryer sheets to the PVC pipes that deliver your shower water, and they’re taking their toll. It’s not an accident that many fish and frogs are born with sexual deformities, girls are reaching puberty earlier, fewer males of all species are being born than ever before, and infertility and sexual dysfunction plague adult men and women alike. Endocrine disruptors are pernicious toxins with far-reaching, dangerous effects that we are only beginning to fully understand. Bisphenol A (BPA), which is used to make polycarbonate plastic bottles and the linings of metal food and soft-drink cans, and thermal receipt paper used in cash registers and credit card machines. Studies show that mice and rats fed tiny amounts of bisphenol A during early development became more obese as adults than those that weren’t fed the chemical. BPA leaches from food and beverage containers into what we eat and drink. Phthalates, found in PVC plastic, fragrances and personal-care products. One recent study linked a type of phthalate that leaches into processed food with increased waist circumference and insulin resistance in men. Atrazine, the most heavily used agricultural weed killer in the United States. Researchers have found an apparent overlap between areas where the weed killer is used and the prevalence of obesity. The findings suggest that atrazine, which contaminates some corn products, might contribute to the development of insulin resistance and obesity. Perfluorooctanoic acid (PFOA), which is used to make non-stick cookware and is an unintended byproduct of substances that repel grease on food wrappings and stains on clothing and carpeting. Several studies show that PFOA exposure results in reduced birth weight followed by weight gain after puberty. Polybrominated diethyl ethers (PBDEs), are fire-retardants that are found in all hard plastic, foam and stuffed toys, and a third of soft rubber toys. Children’s mattresses and pajamas are also often treated with PDBEs! Hormone-disrupting BPA in soda cans, toxic flame retardants in our mattresses, harmful phthalates in our shampoo—thanks to lax federal regulation, Americans are exposed to thousands of hazardous chemicals every day. I heard today that a new chemical is developed every 2.6 seconds and the Environmental Protection Agency is approving two a day! Our regulatory system works according to a “innocent until proven guilty” logic, where new chemicals are immediately available and safe, until the day we realize they aren’t. This may be a good policy for people, but it’s a very bad idea for public health. Use a reusable water bottle and avoid all beverages that come in plastic bottles. Avoid fast-food packaging and microwave popcorn bags because many are coated with a chemical that can break down to form PFOA. Avoid prepared and packaged foods that come in plastic containers, especially ready-made meals. Don’t use plastic containers to microwave because phthalates can leach into the reheated food. Choose glass containers to store or reheat leftovers instead of plastic containers. Choose only BPA and phthalate-free bottles, sippy cups, and toys for your children. Avoid standard plastic lunch boxes and sandwich baggies; use stainless steel, fabric or certified-safe plastic lunch containers. Choose mattresses, pillows and pajamas that are labeled that they have not been treated with PDBEs. Filter your water for pesticides and buy organic fruits and vegetables, whenever possible, especially if you are pregnant or have children. Chemical poisoning is a problem that is truly not easy to solve. The long-term solution to our toxic problem requires a fundamental shift in the way we use industrial chemicals so that public health and environmental protections are the top priorities. For example, the European Union recently instituted sweeping changes that mean chemical companies will lose access to the EU’s 500 million consumers and $11 trillion (US) market unless they can prove their substances do no harm. Here at home, it’s time to ask Congress to create common sense limits on toxic chemicals. Contact your Congressperson to urge them to pass the Kid-Safe Chemicals Act, which would require that all chemicals be proven safe for children before they can be sold. It makes no sense to continue to release untested chemicals into the marketplace, only to end up chasing down the ones that cause harm to people and ecosystems long after the damage has been done. Fake Plastic Fish – a wonderful blog about one woman’s journey to eliminate as much plastic from her life as possible. 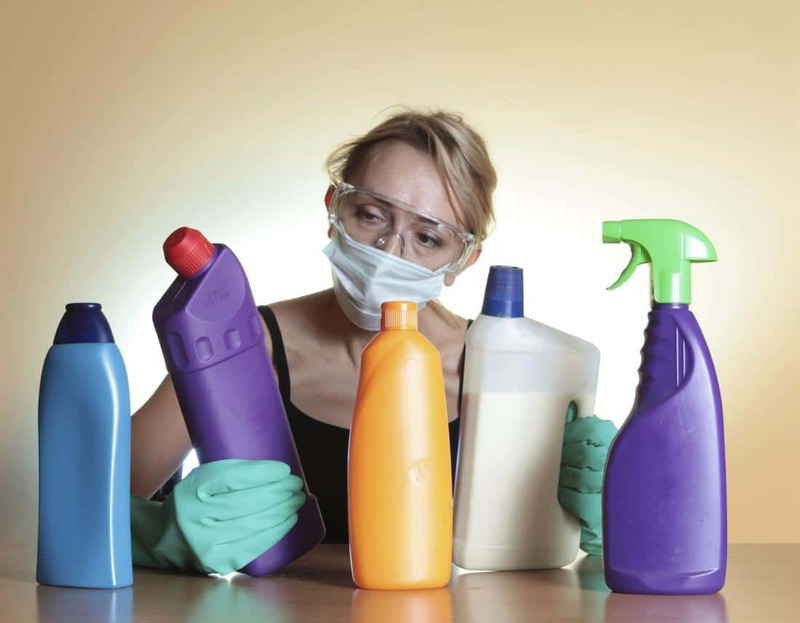 Your Big Fat House – a list of where to find endocrine-disrupting chemicals in your home. Born to Be Big – a Newsweek article on obesogens and their role in the obesity epidemic. Kid-Safe Chemicals Act – Sponsored by the Environmental Working Group, a research group promoting protection of human health and the environment. Great series on causes of obesity that do not find their way into mainstream media. It is so much more than “calories in, calories expended” like many would lead us to believe. Obese individuals are often malnourished due to insufficient nutrients and toxic due to chemical overload. We must return to real food once more! But I absolutely agree with the notion that endocrine disruptors harm us in ways we are only beginning to recognize. I’m working hard to eliminate those from our diet and home, but it’s an ongoing, uphill battle!